​We believe that every woman has the right to comprehensive care and support during pregnancy and postpartum. We work to make this right a reality for every mother. 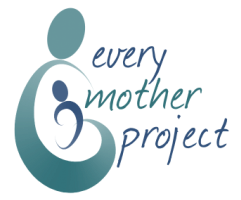 The Every Mother Project provides support and education to birth, postpartum, lactation, and women's health professionals to reduce barriers that women with perinatal emotional complications face when accessing care. Do you work with pregnant women, new mothers, or families with infants and toddlers? One in five women will experience emotional complications during pregnancy or the year after birth. © 2015-2017 Every Mother Project. All rights reserved.